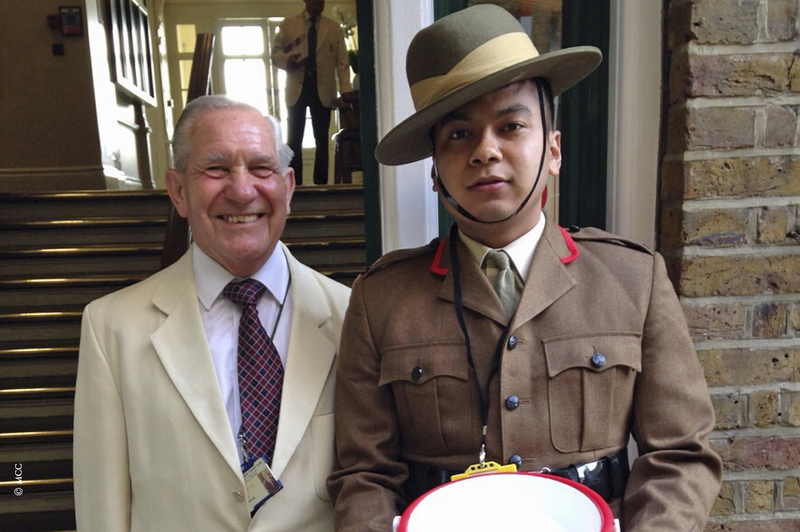 On Saturday 23 May, the MCC kindly allowed Gurkhas to conduct fund raising at Lords in support of the Gurkha Welfare Trust Earthquake Appeal. The occasion was the third day of the Test cricket match between England and New Zealand. 50 members of 2RGR were present to collect donations around the ground. 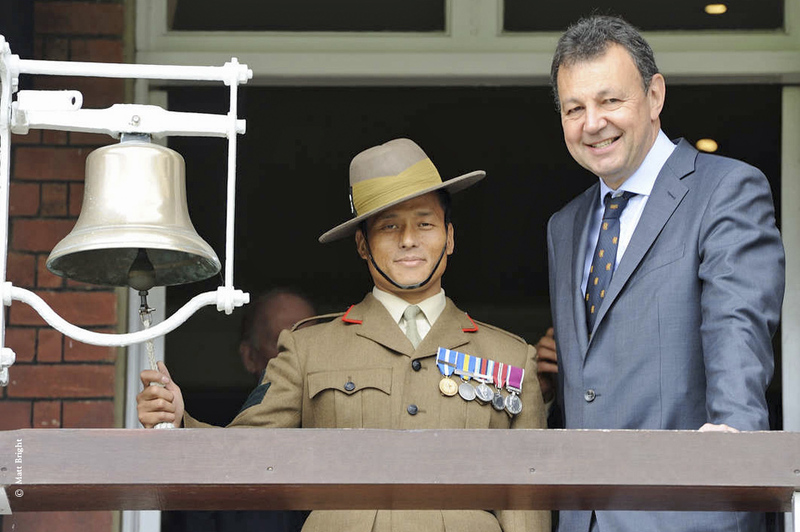 CSgt Padambahadur was also given the very special honour of ringing the five minute bell in the Pavilion to prepare for play. At half time the Band of the Brigade of Gurkhas came on to the pitch and played in front of each stand and also performed a Khukri Dance. Col James Robinson, Colonel Brigade of Gurkhas, and Major Tolbahadur Kamcha, Gurkha Major Queen’s Gurkha Signals, were hosted, along with Lieutenant General Sir Peter Duffel KCB CBE MC, were hosted by the MCC Committee in the Pavilion, At tea General Sir Peter Wall, Colonel Commandant the Brigade of Gurkhas and Chairman of the GWT, presented a kothimura Khukri to the President of the MCC to thank them for allowing the Brigade to collect money for Nepal. President of the Gurkha Brigade Association. Lieutenant General Sir David Bill KCB was also present. In total £18,915 was raised on the day.